The Virtual Brailler is a device that converts digital text from Roman to braille in real time to give tactile braille feedback to the tracked finger of a visually challenged person. This low cost e-book reader for the blind is a revolutionary product that could make books accessible to millions of people who currently depend on time-consuming methods like getting braille books printed or unintuitive methods like text-to-speech. Currently, braille is printed using braille printers which cost over INR 200,000 each. It is not possible for every visually challenged people to possess a braille printer due to it's high price. Knowledge is empowerment. Thus to empower blind people and help them know the joy of paperless reading, we created this device. We used sensors to sense X, Y coordinates as well as digital text in the background to convert it into haptic and tactile braille using a dot matrix head and implemented the tactile brush algorithm to perceive motion. This product may be used to read virtual content and it is refreshable with the use braille cells.The current designs are expensive which necessitates the presence of a cheaper model.This product is better than an audiobook as any desired part of a page can be read using this product by pinpointing to the particular area. 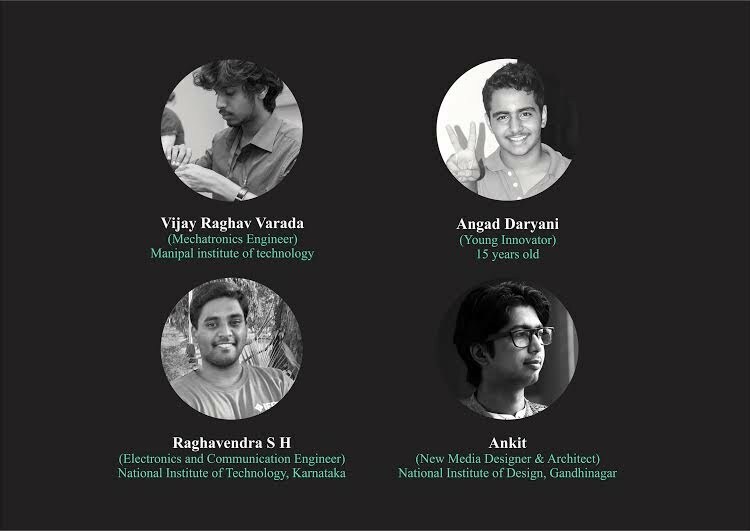 The project was built at the DIy Engineering the Eye workshop by MIT in July 2013 at BITS Hyderabad. Project built under the mentoring of Anna Young from the Little Devices lab at MIT. This is a first of it's kind idea and project developed in July 2013 in Hyderabad, India under mentoring and funding by MIT. It was developed in 3 nights at the workshop and the images and videos are of the prototype. The application for the registration of this design has been submitted and will act as a copyright when approved. The development from prototype to product is in process. This project is owned by the Massachusetts Institute of Technology (MIT), Boston, USA. Any replication of project data or wrong accreditation (plagiarism) may lead to severe judicial action. The project is documented here for the sole purpose of display of work.